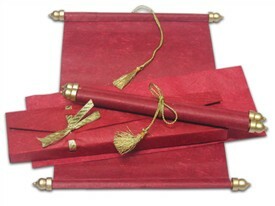 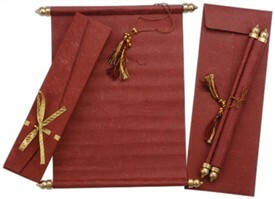 S153, Red Color, Handmade Paper, Scroll Invitations, Jewish Invitations, Box Scrolls. 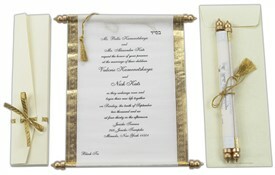 The grace of staying with the classics! 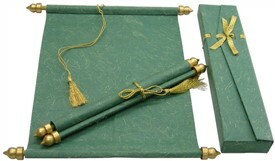 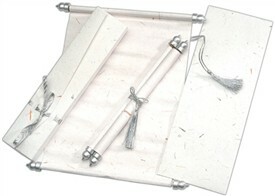 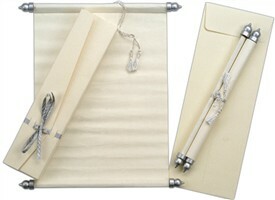 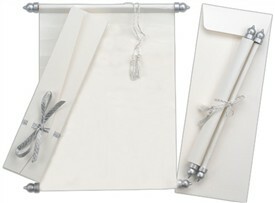 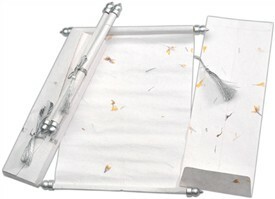 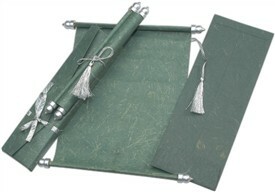 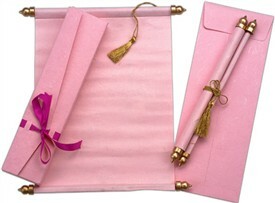 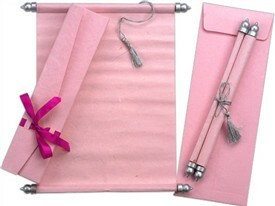 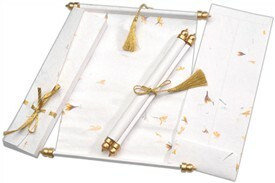 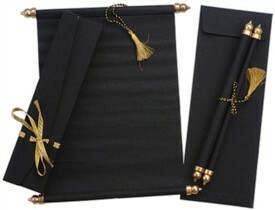 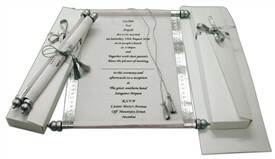 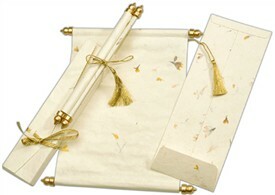 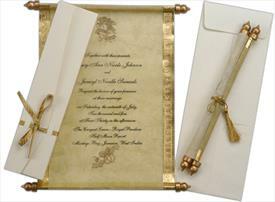 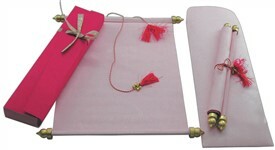 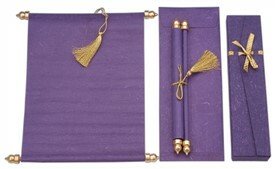 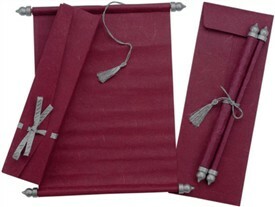 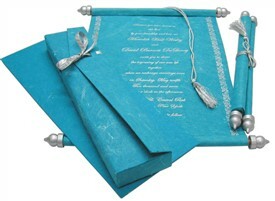 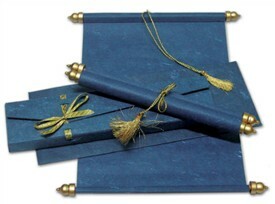 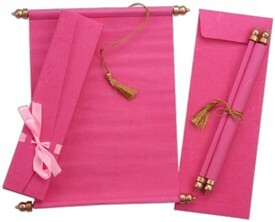 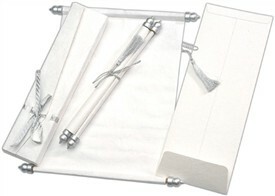 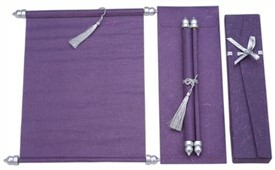 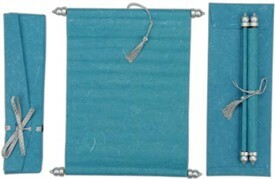 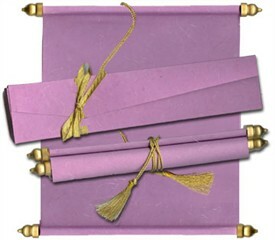 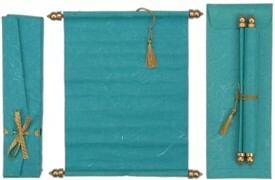 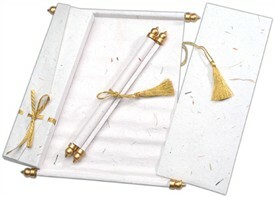 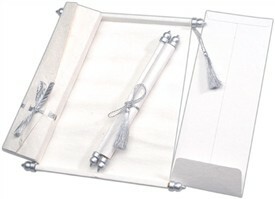 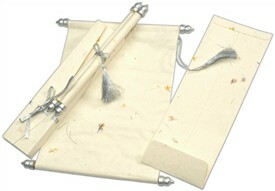 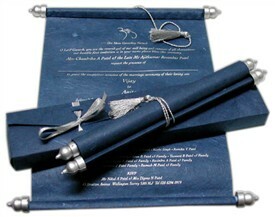 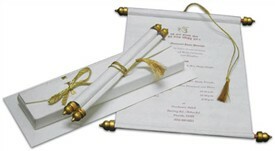 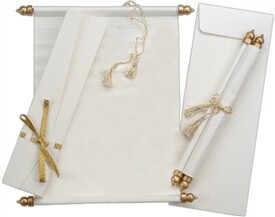 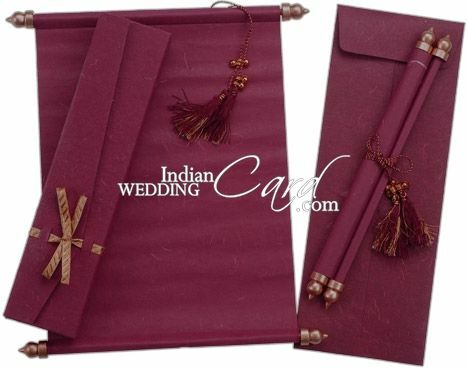 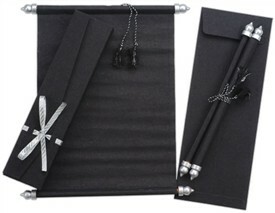 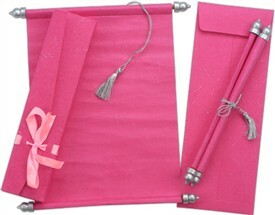 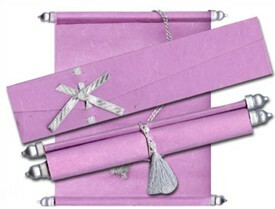 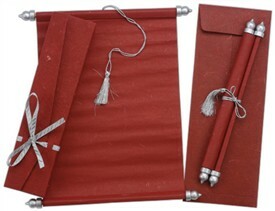 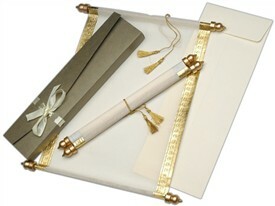 This scroll card is plain with golden frame bars and tassel to tie. 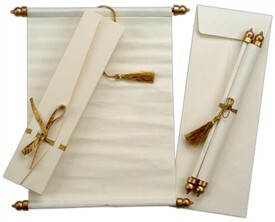 The box is also plain with a golden ribbon.